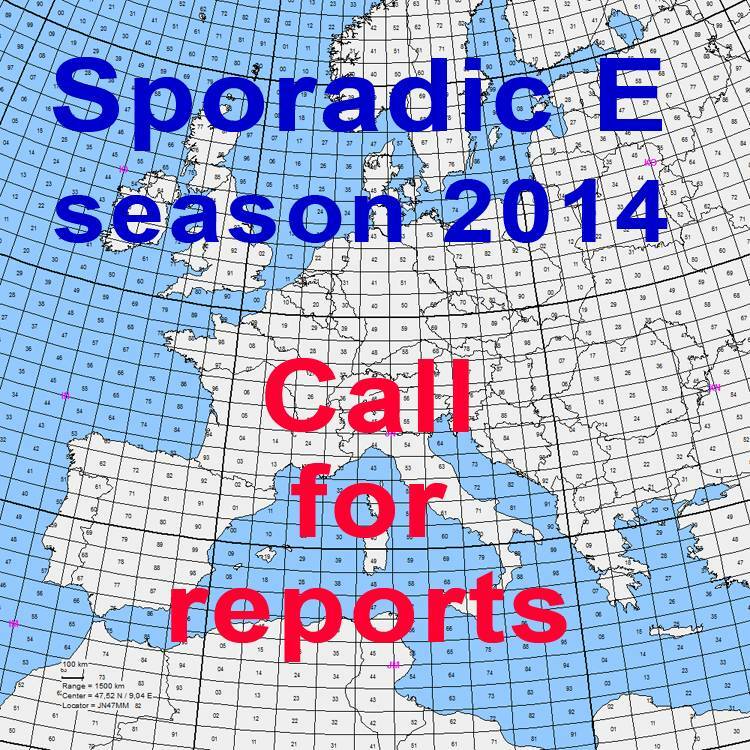 There you will also find the do's and don'ts about spotting Sporadic E.
Also in 2014 we like to invite you to send your Sporadic E logs to MMMonVHF. We will try to have them online as soon as possible. Be aware that this is not an automatic process so it takes time to see your log show up in the list. No need to send it twice the same day! Please check the MMMonVHF forum about the best way to send your log and which format to use. As the editors also have to work for a living, they will not be able to edit all logs real time. We will do so if we can and often we can publish the logs "in between" during QRL-hours. Creating of the maps is a different story as not every log is in the correct format. So the logs that are in the right format can be processed quickly...the one's that are not will have to wait. Most made errors are wrong locators, wrong time stamps and unnecessary writing between the QSO lines. Every year we find stations that are located in the water or in Africa. It would be very helpfull if you did a primary check yourself of the locator..the databases from eg. ON4KST, MMMonVHF, QRZ.com can help you. Also double check the date on the form that is used to send log via the ES summery pages and not to mention the : in the time stamp. Please note that we will only publish QSO's made on 144 MHz.